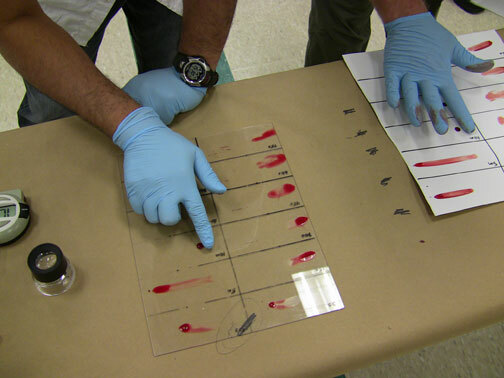 Blood-stain pattern analysts are often called upon to help determine events surrounding a crime, and today their testimony is accepted in courts across the country. 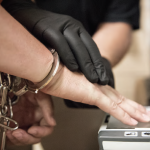 A recent New York Times Magazine article provides a window into the history of blood-stain pattern analysis and a closer look at how the discipline took hold in the American justice system. Looking back to 1954, we can see that modern bloodstain-pattern analysis began with a small group of scientists and forensic investigators testifying as experts in a new technique. As the years progress, this group begins to train many more police officers, investigators and crime-lab technicians, who go on to testify in court as well. 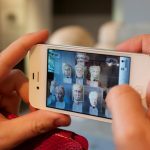 However, in recent years, the training of these experts and the validity of the field itself have been called into question by various scientists and legal scholars. Defendants began to appeal the legitimacy of the experts’ testimony, and their cases started to make their way to state appeals courts. Over time, the New York Times articles shows that once one court ruled that bloodstain testimony was admissible, others often followed suit, basing the decision on predecessor’s rulings. The timeline shows that judges have relied more on their own or the testifying experts’ assessment when examining the reliability and accuracy of blood stain pattern analysis, not objective proof. The article highlights the groundbreaking 2009 National Academy of Sciences study that found major deficiencies in the United States forensic science field. The reports states, “The uncertainties of bloodstain-pattern analysis are enormous,” and highlights that analysts’ opinions are more subjective than scientific. The Center for Statistics and Applications in Forensic Evidence was created in response to the 2009 NAS report, with a mission of building a stronger scientific foundation for the analysis and interpretation of forensic evidence. Our experts are studying a variety of forms of pattern and digital evidence, to include blood-stain analysis, and are working to develop new tools to improve accuracy. Learn how CSAFE is using statistical modeling software to gain a better understanding of how blood behaves, and more about a new blood spatter database designed to test analysis methods in our news section.